Personal Care may include bathing, dressing, grooming and more. Companion Care includes services like meal prep and light housekeeping. Click here to read about various types of care we offer. We currently serve the following areas in Virginia: Williamsburg, Norge, Toano, Lanexa, Jamestown, Yorktown, Poquoson, Newport News, and Hampton. 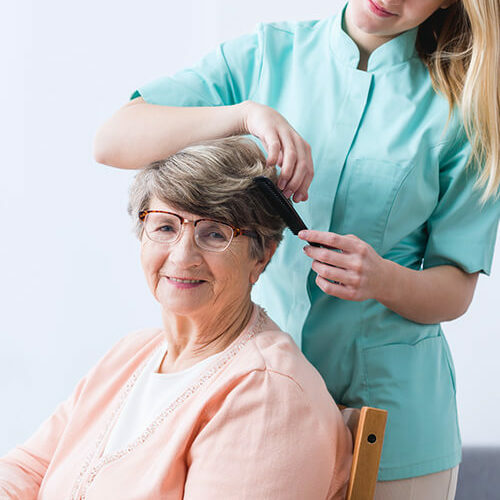 We offer “companion care” including light housekeeping and meal preparation, “personal care” services like bathing, dressing, grooming, and toileting assistance, and certain types of private duty skilled care. If you’re not sure what services your loved one needs, don’t worry. A Registered Nurse will complete an initial assessment and create a Plan of Care especially for your loved one. What is the screening process for your employees? The screening process includes a criminal background check from the VA State Police, a background check through OIG for those with a certificate or license filed with the state department of health professionals, driving records from the DMV when applicable, as well as employment history, interviews, and competency tests. What training and credentials do your staff members have? Our Personal Care Aides (PCAs) undergo at least 40 hours of classroom training, typically with some type of hands-on training as well. PCAs are trained in hygiene and sanitation, the proper way to assist someone transfer (like moving from a sitting to standing position) safely, and more. Certified Nurse Aides (CNAs) have taken a 125 hour training program which is a mix of written and clinical instruction. It covers the basics that are included in the PCA program, as well as nursing theories and a more extensive exam at the conclusion of the program. Those that pass the exam are “certified”, and that certificate is filed with the state department of healthcare professionals. Licensed Practical Nurses (LPNs) typically have at least one year of nursing-specific courses and pass an exam upon completion of the program. LPNs can provide certain types of skilled care services. Registered Nurses (RNs) are required to complete at least 2 years of school or more, and pass the nursing exam upon completion of the program. An RN will be responsible for conducting the initial assessment for any new client, as well as each supervisory visit at regular intervals (typically either 60 or 90 day intervals). What type of payment do you accept? Does insurance cover home care? There are a number of options for paying for home care for yourself or your loved one. 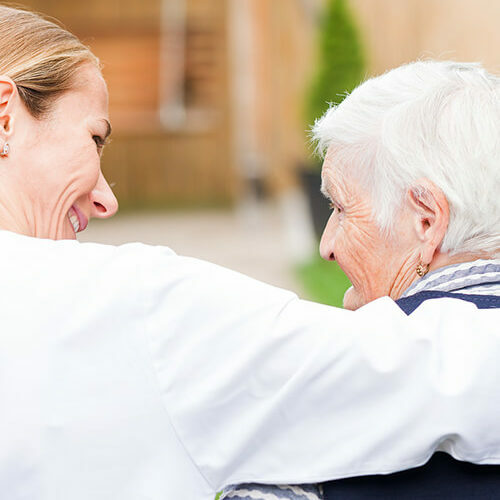 Agapé Home Care accepts Long Term Care insurances, Medicaid coverage for low-income individuals, and personal checks or cash for those paying out of pocket (also known as private pay). What if I'm not happy with my caregiver? 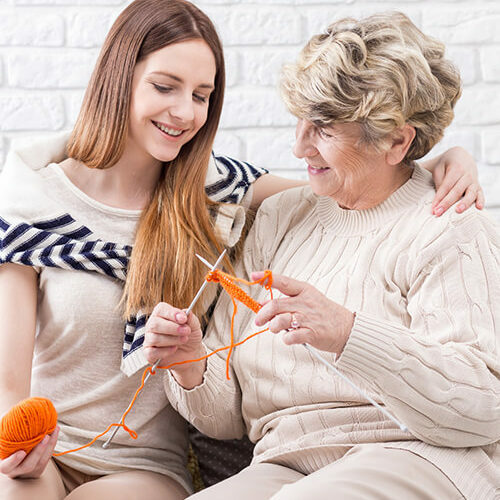 If for any reason you are not satisfied with your caregiver, simply contact us about the issue and we’ll discuss finding a new caregiver for you. Does having home care result in a loss of independence? No. Our belief is that independence is being in control of your decisions. Having in home care services means being in control of your activities and retaining as much independence as each situation allows. Many of our clients just need a little help to continue living a safe and productive life while some might be recovering from a fall or surgery, or other condition. Regardless of your situation, our goal is to enable you the best possible outcome while being in control of your care and daily decisions. My loved one needs care but doesn’t live in your service area. How do I find a provider in their area? Try searching online for your local “Agency on Aging” or community “Senior Center”. A simple Google search with these keywords and the city and state in which you need a provider will usually work. We also recommend talking to your doctor to find out if they recommend a certain agency, as well as any friends or neighbors who have experience with a local agency.